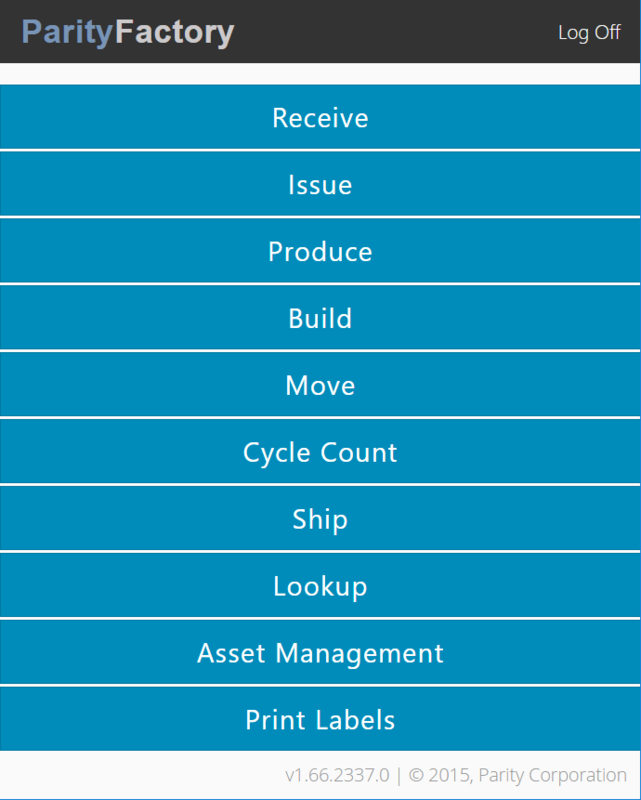 ParityFactory is cloud-based and on-site supply chain management software that automates and simplifies the unique materials lifecycle of food production. ParityFactory offers manufacturers precise, real-time inventory, end-to-end traceability, and an efficient, data-driven factory floor. Using online dashboards, real-time directing and monitoring, in-office reporting, and a suite of integration tools, ParityFactory offer’s a management solution for any food processor. ParityFactory is a uniquely valuable option for food processors who want to modernize their operation. Designed for food processors, ParityFactory is fundamentally different from generic warehousing solutions. ParityFactory is designed to monitor food safety, food manufacturing, and food reporting through automatic and customizable tools. Flexible workflows, processes, and, product definitions adapt to match the way each factory operates. ParityFactory is built for factory manufacturing and plant workers, with on screen instructions, verifications, and warnings that are streamlined to ensure accuracy.ParityFactory works across devices and updates in real-time. ParityFactory automates materials control for food processors using a combined solution of modern software, ERP integrations, and factory equipment. ParityFactory comes with fixed cost implementation and training. Each all-inclusive solution is delivered by a team of food industry experts and includes multiple on-site visits to ensure your team is up and running without disruption. Not sure if ParityFactory is right for you? Use our Product Selection Tool to compare other supply chain management solutions. Have questions? Call one of our unbiased Technology Advisors for a free consultation. Learn everything you need to know about ParityFactory. Our experts will reach out to you shortly.